Möbius syndrome is an extremely rare, congenital facial paralysis that is usually bilateral and complete. The paralysis leaves the face expressionless, which makes it difficult for persons with Möbius syndrome to express emotions or indicate that they understand a conversation partner's information. This severely inhibits interaction and rapport--creating a challenge, not only for the persons with Möbius syndrome, but also for their conversation partners who can become insecure and nervous. An international group of researchers centered at Denmark’s Aarhus University's Interacting Minds Centre has completed a study involving five Danish teenagers with Möbius syndrome to determine if it is possible to teach persons who lack facial expressivity to use alternative communication strategies. "Our research shows that the teenagers significantly improved rapport and interaction with their conversation partners without Möbius syndrome after just two days' workshop in compensatory communication strategies. And interestingly, it was not only the teenagers with Möbius who changed their behavior; the non-Möbius interlocutors became much more expressive with both gestures and voices," says postdoc John Michael, Ph.D., from the University of Copenhagen's Center for Subjectivity Research. Dr. Michael is the lead author of the open-access article “ Training in Compensatory Strategies Enhances Rapport in Interactions Involving People with Möbius Syndrome,” which was published online on October 8, 2015 in the journal Frontiers in Endovascular and Interventional Neurology. Möbius syndrome occurs in only 2 to 20 births per million, so it is an extremely rare condition, which is why the researchers only had five Danish teenagers with whom to test their hypothesis. Aethlon Medical, Inc. (Nasdaq: AEMD), the pioneer in creating affinity biofiltration devices to treat life-threatening diseases, announced today (Monday, November16, 2015) its results for the second quarter of fiscal 2016 ended September 30, 2015. "Beyond achieving the short-term objectives set forth in our last quarterly call, we also made material advancements that should benefit our long-term clinical and commercialization endeavors," stated Jim Joyce, Chairman and CEO of Aethlon Medical. "We transitioned to a new Principal Investigator to support our clinical study in Houston, we secured year-5 approval of our primary DARPA contract, kicked-off a cancer-related study at UC-Irvine Medical Center, launched two new virus study collaborations, and our Exosome Sciences subsidiary submitted a manuscript for publication with our CTE (chronic traumatic encephalopathy) study collaborators. We also made manufacturing-related advances and introduced a partnering program to establish new Aethlon ADAPT™-based therapies that target disease indications not addressed by our Hemopurifier®." [BioQuick Editor’s Note: An interesting side-story here is the Aethlon CEO Jim Joyce once played NFL football with the Denver Broncos.] Aethlon Medical creates affinity biofiltration devices to treat life-threatening diseases. OThe company’s lead therapeutic candidate is the Aethlon Hemopurifier®, a first-in-class device that targets the rapid elimination of infectious viruses and cancer-promoting exosomes from the circulatory system of treated individuals. U.S. clinical progression of Hemopurifier therapy is being advanced under an FDA-approved clinical study. The company also provides government contracting services to the Defense Advanced Research Projects Agency related to the development of a biofiltration device to treat sepsis. 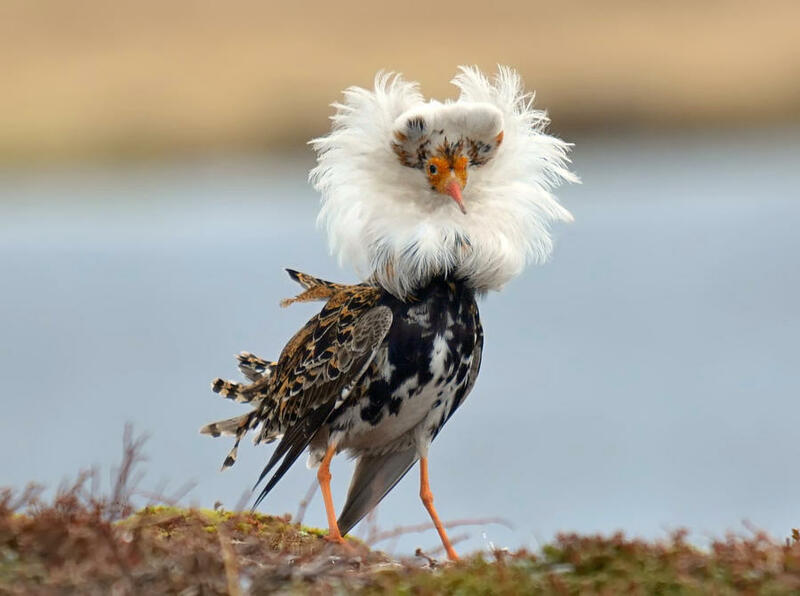 The ruff is a Eurasian shorebird that has a spectacular “lekking” behavior (a typer of mating behavior), in which highly ornamented males compete for females. Now, two independent research groups report that male ruffs with alternative reproductive strategies carry a chromosomal rearrangement that has been maintained as a balanced genetic polymorphism for approximately 4 million years. [Note: “Lekking” is a mating ritual in some species, in which males assemble on the mating ground (the lek), where they spar with each other or put on extravagant visual or aural displays (mating dances or gymnastics, plumage displays, vocal challenges, etc.) so that a female will select them for mating. The two studies, one led by scientists at Uppsala University in Sweden, and the other led by scientists at the UK’s University of Sheffield and at the Univesrsity of Graz in Austria, were published online on November 16, 2015 in Nature Genetics. The Uppsala article is titled “Structural Genomic Changes Underlie Alternative Reproductive Strategies in the Ruff (Philomachus pugnax).” The UK/Austria study is titled “A Supergene Determines Highly Divergent Male Reproductive Morphs in the Ruff.” Three different types of ruff males are seen at the “leks” (mating grouns) of this species (see accompanying video, link below). “Independent” males show colorful ruffs and head tufts and fight vigorously for territories. “Satellite” males are slightly smaller than “Independents,” do not defend territories, and have white ruffs and head tufts. “Faeder” males mimic females by their small size and lack of ornamental feathers, and they do not defend territory. The “Independent” and “Satellite” males show a remarkable interaction in which the “Satellite” males allow “Independent” males to dominate them on the leks. A scientist from The Cleveland Museum of Natural History led research that revised the horned praying mantis group and traced the evolution of its distinctive camouflage features. Gavin Svenson, Ph.D., and his colleagues identified a new genus and a new tribe of praying mantis and discovered that disruptive camouflage evolved twice within the group. The second, more recent, occasion occurred after the re-evolution of a special leg lobe that disguises the body profile to help the insect hide from predators. The research was published online on November 16, 2015 in Systematic Entomology. The article is titled “Re-Evolution of a Morphological Precursor of Crypsis Investment in the Newly Revised Horned Praying Mantises (Insecta, Mantodea, Vatinae).” Dr. Svenson and his team studied the origins of 16 features that provide disruptive crypsis for the Central and South American horned praying mantises of the subfamily Vatinae, all of which contribute to their camouflage strategy. These features include a head process or horn and leafy-looking lobes on the legs. The team analyzed 33 species and nearly 400 specimens from museum collections in the United States, South America, and Europe, as well as insects Dr. Svenson recently sampled from South America. 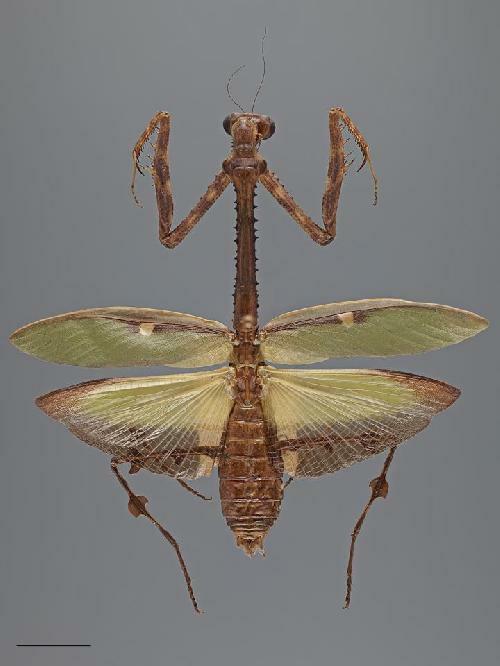 "Praying mantises depend on camouflage to avoid predators, but we have known little about the patterns of how body structures contributing to crypsis evolved," said Dr. Svenson, Curator of Invertebrate Zoology at The Cleveland Museum of Natural History and lead author of the study. "We discovered that two mantis lineages evolved structural camouflage millions of years apart in very similar ways. On Tuesday, November 17, Malvern (producer of NanoSight Instruments) will host a free online webinar to describe the Nanoparticle Tracking Analysis (NTA) technique and how it affords useful information in various synthetic nanoparticle systems. The webinar is titled “Nanoparticle Tracking Analysis (NTA) Application: Better Understanding Synthetic Nanoparticle Systems.” This webinar will take place from 10.30 am to 11.30 am Eastern Standard Time (EST). The NTA technique enables the measurement of particle size, particle concentration, and Zeta potential. It should be noted that NTA is frequently used in exosome studies. In Tuesday’s webinar, Malvern will describe how NTA has been used to measure the effects of certain buffers on the aggregation of liposome-insulin receptor complexes. The characterization of iron-oxide loaded polymer nanoparticles will also be discussed. Finally, Malvern will briefly demonstrate how NTA can characterize other synthetic nanoparticle systems. The webinar speaker will be Ragy Ragheb, Ph.D., a Technical Specialist at Malvern Instruments, who specialized in products using the NTA and dynamic light scattering (DLS) techniques. Dr. Ragy received his doctorate from Virginia Polytechnic Institute and State University and completed his post-doctoral work at Yale University’s Department of Biomedical Engineering, where he developed a range of particle-based systems for therapeutic delivery and diagnostic applications, as well as a magnetically separable carbon-nanotube-polymer nanoparticle hybrid system for immunotherapy. These and other projects have enabled Dr. Ragheb to develop a proficiency in real-world applications for particle characterization techniques and research. 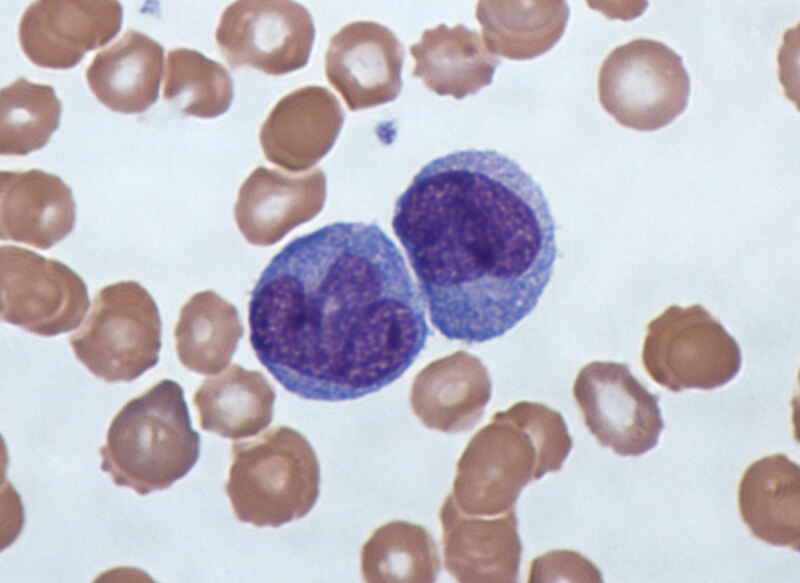 In a new study, scientists from the Medical University of Vienna in Austria, together with colleageues, have shown that irradiation stress modulates the release of proteins, lipid-mediators, and extracellular vesicles (EVs) from human peripheral blood monocytes (PBMCs). The researchers suggest that their new findings implicate the use of secretome fractions as valuable material for the development of cell-free therapies in regenerative medicine. The research was reported in an open-access article published online on November 16, 2015 in Scientific Reports. The article is titled “Analysis of the Secretome of Apoptotic Peripheral Blood Mononuclear Cells: Impact of Released Proteins and Exosomes for Tissue Regeneration.” The senior and corresponding author of the article is Hendrik Jan Ankersmit, M.D., of the Department of Thoracic Surgery and the Christian Doppler Laboratory for Cardiac and Thoracic Diagnosis and Regeneration at the Medical University of Vienna. In their article introduction, the authors write that they had previously showed that, when PBMCs were stressed with ionizing radiation, they released paracrine factors that showed regenerative capacity in vitro and in vivo. The current study was designed to characterize the secretome of PBMCs and to investigate its biologically active components in vitro and vivo. The scientists say that bioinformatics analysis revealed that irradiated PBMCs differentially expressed genes that encoded secreted proteins. These genes are primarily involved in (a) pro-angiogenic and regenerative pathways; and (b) the generation of oxidized phospholipids with known pro-angiogenic and inflammation-modulating properties. The American Academy of Ophthalmology (AAO) has paid tribute to outstanding eye physicians and surgeons who have made significant achievements in various areas of the profession. These range from scientific innovation and humanitarian service to education and advocacy. The honorees were recognized , the Academy’s 119th annual meeting (AAO 2015) in Las Vegas, Nevada (November 14-17, 2015). Each year, the Academy presents a series of awards to exemplary member ophthalmologists. The most prestigious of these honors is the Laureate Recognition Award. It recognizes ophthalmologists who have made exceptional scientific contributions to preventing blindness and restoring sight worldwide. This year’s recipient is esteemed educator and innovator Bruce E. Spivey, M.D., M.S., M.Ed. Dr. Spivey’s achievements span almost every area of the profession. He was the first CEO of the American Academy of Ophthalmology when it separated from the American Academy of Otolaryngology in1978. Under Dr. Spivey’s leadership, the Academy experienced tremendous growth. It formed its charitable foundation and developed a code of ethics for the profession of ophthalmology. It also initiated the Academy’s EyeCare America® public service program that provides eye exams and care for medically underserved seniors often at no out-of-pocket cost. He also led the establishment of the Ophthalmic Mutual Insurance Company, the largest insurer of ophthalmologists in the United States. Most recently, Dr. Spivey has served as President of the International Council of Ophthalmology (ICO), presiding over that organization’s growth in global ophthalmic education. The ICO represents and serves professional associations of ophthalmologists throughout the world. "Dr. When it comes to spreading viruses, bats are thought to be among the worst. Now a new study of nearly 900 nonhuman primates in Bangladesh and Cambodia shows that macaques harbor more diverse astroviruses, which can cause infectious gastroenteritis or diarrhea in humans. “If you are a bat, you have bat astrovirus, but if you are a monkey, you could have everything,” said Lisa Jones-Engel, Ph.D., a research scientist at the University of Washington National Primate Research Center and a co-author of the study, scheduled to be published on November 19, 2015 in the open-access journal PLOS Pathogens. The article is titled “Non-Human Primates Harbor Diverse Mammalian and Avian Astroviruses Including Those Associated with Human Infections.” This research, the scientists said, is the first to show evidence of human astroviruses in animals, and among the earliest to demonstrate that astroviruses can move between mammalian species. Astroviruses from a number of species, including human, bovine, bird, cow and dog, were detected in monkeys. This “challenges the paradigm that AstV (astrovirus) infection is species-specific,” the authors wrote. It is still unknown whether these viruses are two-way and can be transmitted to humans. The scientists did find evidence that, in monkeys, two species of astrovirus recombined. Knowing that nonhuman primates can harbor diverse astroviruses – including novel, recombinant viruses that may be pathogenic and/or more efficiently transmitted – highlights the importance of continued monitoring, the authors said. This is particularly true in countries such as Bangladesh and Cambodia, where macaques and humans live side-by-side. “This study is an example of the concept of One Health for new viruses,” noted author Stacey Schultz-Cherry, Ph.D., at St.